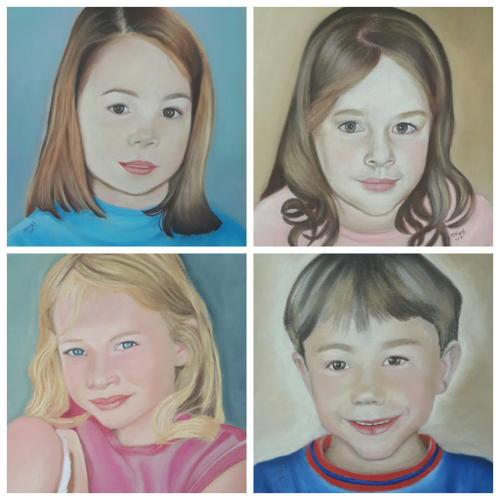 Feeling time march by, as my children are mostly grown up and wanting to capture some precious moments from their childhoods, I decided to commission Susan to paint portraits of my children. Seeing Susan’s other portrait paintings in progress next to the original photo made me realise I was making a good decision. I thought they would be a great keepsake. Working with Susan has been a pure pleasure. 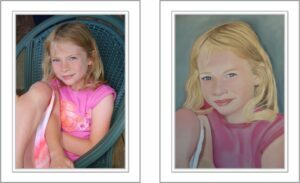 She was patient as I found the ‘right’ photos of my children for her to draw…giving me great feedback during the selection process. She even combined photos when needed to show them at their best. These portraits are something that I will treasure forever. The photos that I finally chose weren’t my favourites as they weren’t suitable – either too small and their faces weren’t defined or too dark – we didn’t have digital photos when my children were young. In the end, I chose photos from when my children were all 7 years old, for similarity. (I didn’t know it but the jumper Tatiana is wearing was her favourite. She told me that yesterday when I showed her the paintings). 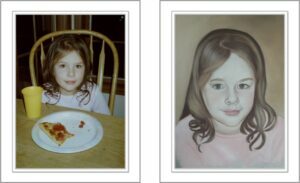 When I look at the paintings I feel really happy because they capture a moment in time for each child and they remind me of their childhood. I can’t say what it is …the smile on their face or the look in their eye, but I see who they were then and who they are now. Maybe it’s there essence shining through. 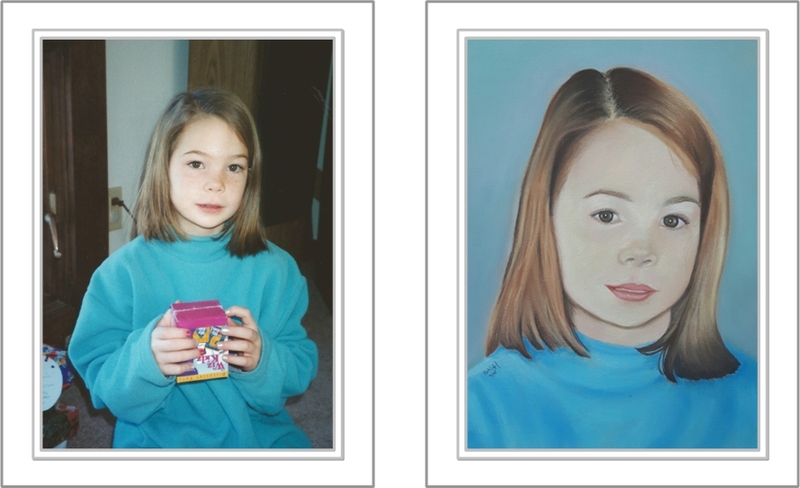 It’s a bit magical to me that a painting can do that! I am very happy with the results. I would definitely recommend Susan. 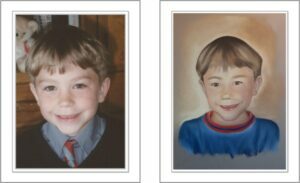 If you want to capture a moment of your child’s childhood in a unique and meaningful way, then Susan is the person to do it!